The New Jersey wage and hour lawyers at Rabner Baumgart Ben-Asher & Nirenberg, P.C. represent individuals in a wide range of disputes. We pursue claims under state and federal laws including the Fair Labor Standards Act (“FLSA”), the New Jersey Wage & Hour Act, the New Jersey Wage Payment Act, the New York State Minimum Wage Act and the New York State Wage Payment Law. We handle both individual wage and hour claims and class and collective actions. 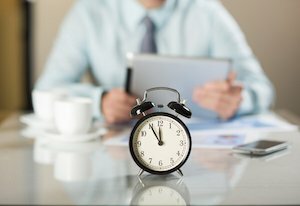 Many employees are entitled to be pay time-and-a-half when they work more than 40 hours in a week. However, there are a lot of exceptions and exemptions from this overtime pay requirement. Additional information is available on our Overtime Pay page. Most employees are entitled to be paid at least a minimum hourly rate for the work they perform. A different minimum wage applies in New Jersey and New York. More information is available on our Minimum Wage page. The FLSA and some New York and New Jersey wage and hour laws provide employees protection against retaliation. For example, they protect employees who object about or file claims asserting minimum wage and overtime violations as well as individuals who testify or assist someone else to pursue such a claim. Depending on whether you live in New York or New Jersey, and even depending on what particular town or city you live in, your rights to take vacation, holidays and sick time may be very different. Information about your right to take time off from work is available on our Paid and Unpaid Time Off From Work page. The Family & Medical Leave Act (“FMLA”) and the New Jersey Family Leave Act (“NJFLA”) both guarantee covered employees job protection when they take up to 12 weeks off from work for childbirth, adoption, their own serious health condition, or a serious health condition of a member of their immediate family (among other protected forms of leave). Our New Jersey-based wage and hour attorneys are experienced at handling FMLA claims. Please visit our FMLA page to learn more about these important employment law rights. In New York State, many employees are entitled to time off during the work day for a lunch or other break. Please see our Meal and Rest Breaks page for details. If your employer has violated one of your employment law rights, or if you would like to speak to a lawyer about a New York or New Jersey wage and hour law dispute, please feel free to contact us online or you can call us at (973) 744-4000.